Having an active social media presence is great, but if you’re sharing lackluster content, your followers will get bored quickly. Providing customers and potential customers with worthwhile information can boost your engagement level and help drive sales. 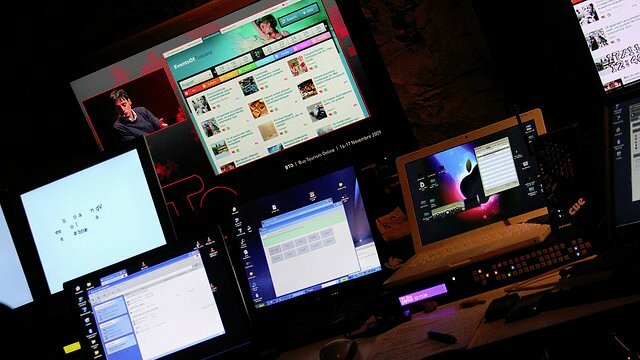 However, finding quality content can be difficult with the amount of information we’re inundated with every day. Here are six indispensable hacks that will save you time and frustration, and start you on your way to becoming the ultimate content curator. By utilizing these tactics in your content marketing strategy, you’ll help ensure that your best content gets clicked, read, and shared. Customizing RSS feeds with your industry’s news sources is an easy way to aggregate sharable news. 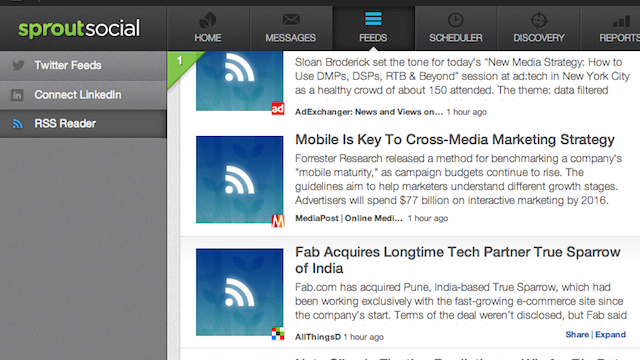 Google Reader can be plugged into Sprout Social’s RSS feature, and content can be read and shared straight from the feed. This is a huge time saver because it eliminates the need to visit individual pages and allows you stay on the RSS feed when sharing and scheduling content. 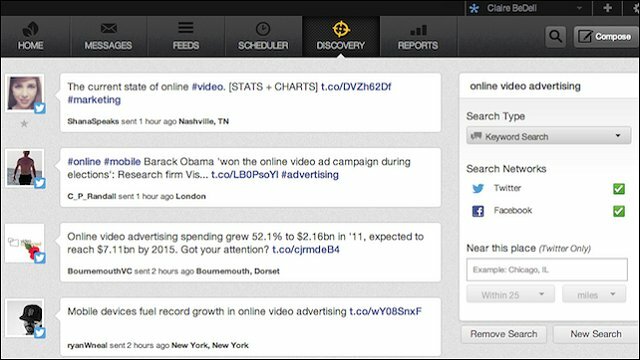 Searching for Twitter keywords and hashtags can help you find relevant content that people have already shared with their followers. This can connect you to potential followers by following people who share similar interests. Use tools like Sprout Social’s Smart Search for advanced features like searching for tweets that originate within a given ZIP code. You can also use the tool to save the queries that you use often. 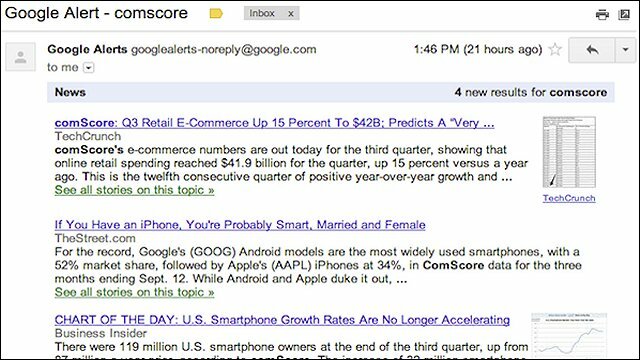 If you’ve ever used Google Alerts to track mentions and news about your business, it can also be used to stay up to date on industry news. Stories based on a given term are delivered in one email message with links to the content. You can set alerts to be delivered to your Gmail account every day. It might seem like an old-school feature these days, but Twitter Lists are still a useful way to organize the people you’re following into categories. If you know a few people who are always sharing great industry content on Twitter, put them in a relevant list so you don’t have to sort through the noise. 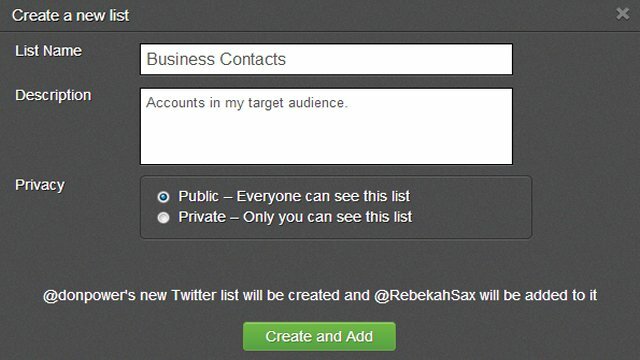 It’s also an easy way to separate personal contacts from business contacts so that you can focus on the people and content that more closely relate to your business activities. How do you get people to see the content that you’ve worked so hard to find? 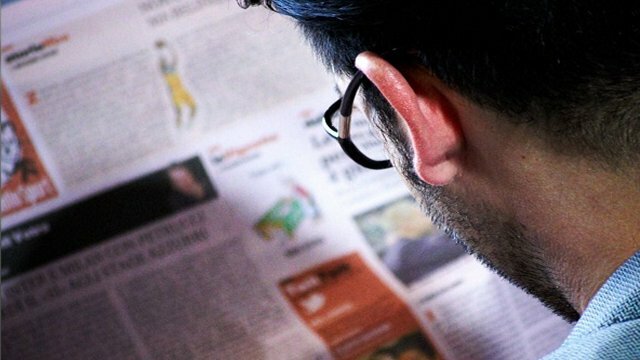 You’ll generate more clicks by using creative headlines. Pulling a short, impactful quote out of a piece to use in a headline is an easy way to attract readers, especially if it’s something with a bit of shock value. The best way to discover what is (and isn’t) working in your content marketing is to see what people are engaging with. 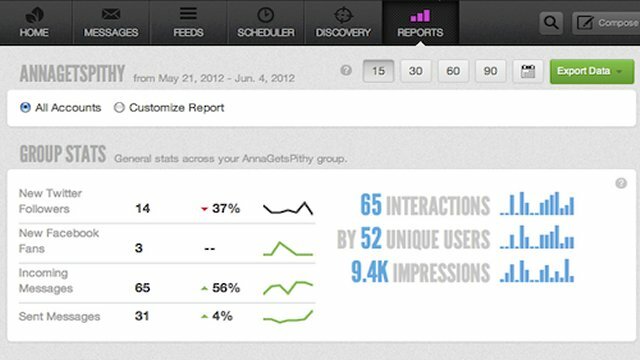 Sprout Social has a wide array of tools to measure and generate reports, from clicks, retweets, replies, engagement, and Likes. You can also find out if a certain type of headline is getting more clicks than others by using Sprout Social’s Sent Messages feature. Just look at the list of Sent Messages and you’ll see columns for clicks, responses, and reach. That means you don’t even have to generate a report — you can get instant feedback on how your content is performing. Claire BeDell: Claire works in marketing in Chicago and specializes in social media and content creation. She is also an avid writer and ruminator. You can reach her on Twitter at @clairebedell.